Korean Air has confirmed that further route network expansion will see the airline start new flights to Zagreb and to Boston. 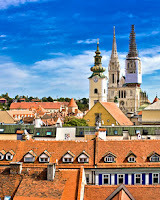 The airline will be serving the jewel of Croatia's Adriatic coast, Zagreb from the 1st September this year and will operate the route three times a week. 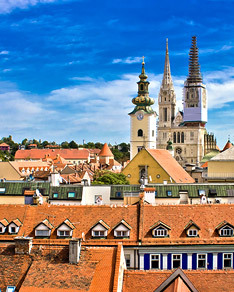 The flights will depart Seoul Incheon at 1105 on Tuesdays, Thursdays and Saturdays., arriving in Zagreb at 1545. The return flight departs Croatia at 1720 to land back in Seoul the following morning at 1130 local time. The service is scheduled for Airbus A330-200 and takes between 11 hours and 10 minutes and 11 hours and 40 minutes depending on direction and weather conditions. Boston will become Korean Air's 11th destination in the USA and this new route will start on 12 April next year. The airline advises they will operate the route initially five times a week, however, this may increase if there is sufficient demand. The schedule for the new flight to Boston's Logan Airport will operate on Tuesdays, Wednesdays, Fridays, Saturdays and Sundays. The flight to Boston leaves at a convenient 0930 to arrive Boston 1030 while the flight back to Korea departs the US city at 1330 to land back at Korean Air's home base at 1650 the following day. 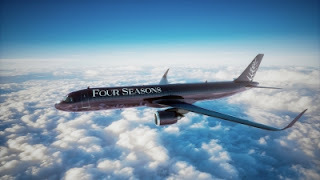 The airline has scheduled its new Boeing 787-9's for the route that features six First Class sleeper suites, 18 Prestige business class sleeper suites, and 245 seats in economy class. The new Boston flight works in tandem with the new Minneapolis/St. Paul-Seoul service that Delta is launching in 2019, which form part of the expansion of the two carriers joint venture launched back in May that opens up more onward destinations for the two airlines.